The impact of the global financial crisis for the real estate sector was first shocking, then painful and, finally, educational. Property markets the world over were hit, but some transactions weighed on events – or were shaped by them – more than most. Real Estate Capital and our sister title PERE pick 10 that had the biggest impact. A decade after the largest financial bankruptcy in US history, the private real estate industry has been reshaped by tough lessons learnt. In this first of a series of features, we examine the impact of the collapse of Lehman Brothers on global real estate. As the new head of real estate finance at Royal Bank of Scotland, Phil Hooper’s challenge is to navigate the UK bank’s property business through the late stage of the cycle. 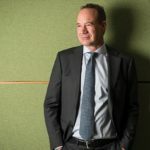 Banker-turned-debt fund manager Jim Blakemore is taking GreenOak Real Estate’s lending business into continental Europe.